Last Tuesday was the fourth and final Atlanta BeltLine Quarterly Briefing of 2013. We took the opportunity to present the public with a recap of Atlanta BeltLine progress and events from the past year, and now we want to offer it to our online audience in blog form. Here it is: 2013 – A Year in Review! Trees Atlanta walking tour on the Eastside Trail. Keep Atlanta Beautiful, Trees Atlanta, the Atlanta BeltLine Partnership, and Atlanta BeltLine, Inc. spearheaded this year’s successful Earth Day on the Atlanta BeltLine in April. With additional support from Park Pride, the Atlanta Community ToolBank, District 2 City Council Member Kwanza Hall, and neighborhood partners, over 300 volunteers tirelessly planted 1.5 acres of native grasses (roughly 20,000 individual grass plugs), hauled half a dump truck’s worth of compost, and pulled out enough asphalt and debris to fill up a pick-up truck. Keep Atlanta Beautiful, Trees Atlanta, the Atlanta BeltLine Partnership, and Atlanta BeltLine, Inc. came together for another successful Earth Day. Photo: Christopher T. Martin. Beginning in April, the Edgewood Avenue bridge went under construction as part of the future Eastside Trail extension. Construction of the new bridge is expected to be complete by April 2014. In May of this year, a new access path was dedicated at Lang Carson Park in Reynoldstown. The area around the new mulch path out to Manigault Street was cleaned of debris and invasive vegetation, and shade trees were added to the access. May is also when the Perkerson Park splash pad was expanded – even more fun for everyone! May also introduced the Proactive Rezoning process. This is a multi-year effort by the City of Atlanta Department of Planning and Community Development to rezone specific non-residential parcels per the recommendations in the Atlanta BeltLine Master Plans. Lang Carson Park gets new access to the Reynoldstown neighborhood. 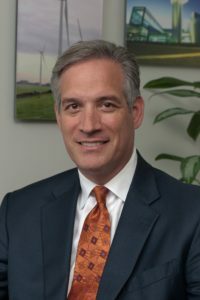 Atlanta BeltLine, Inc. got new leadership in June when Paul Morris came on board as President and CEO. On the Affordable Housing front, June saw the completion of the Affordable Housing Strategy in partnership with Enterprise Community Partners. The ABI Board of Directors elected Paul Morris as President & CEO on June 12, 2013. 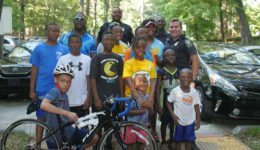 In July, the Path Force Unit of the Atlanta Police Department officially started patrolling all open Atlanta BeltLine trails and parks, as well as adjacent neighborhoods. The APD Path Force Unit will patrol all open Atlanta BeltLine parks and trails, and adjacent neighborhoods. The Southwest Connector Trail was officially opened in August in a dedication ceremony that saw huge community support. Check the gallery for more photos from the Atlanta BeltLine Southwest Connector grand opening. Also in August, Atlanta BeltLine, Inc. (ABI) entered into a services agreement with the City of Atlanta to advance key transportation projects that support the Atlanta BeltLine’s success. This means that the city can assign transportation projects for ABI to execute from the Connect Atlanta Plan outside of the Atlanta BeltLine corridor. The first order of business was the Atlanta Streetcar Extension environmental review, and federal environment reviews are now underway for Atlanta BeltLine East, Atlanta BeltLine West, and the Crosstown-Midtown Streetcar, in addition to the Atlanta Streetcar Downtown Extension. The big news in September was the award of an $18 million TIGER V grant to develop the southwest corridor of the Atlanta BeltLine. The future Westside Trail will be a 2.5-mile multi-use trail from Washington Park to University Avenue with 16 access points. September also saw the completion of Southeast corridor preliminary design, and the kickoff of the most successful Art on the Atlanta BeltLine exhibition to date. Over 10,000 people showed up for the Lantern Parade, and thousands of people visited the corridor for visual and performing art. In September, we also launched newest race of the Atlanta BeltLine Running Series line up. The first annual Atlanta BeltLine Southeast 8K challenged runners and walkers to a hilly course through some of the Atlanta BeltLine’s newest parks in Southeast Atlanta. Participants were treated with an opportunity to experience areas many had not seen before, including the historic Boulevard Heights and Chosewood Park neighborhoods, and D.H. Stanton and Boulevard Crossing Parks. More than 400 registered for this challenging new event, where fun and unique race day activities included a Youth Fun Run and Challenge with the Atlanta Silverbacks and Soccer in the Streets to engage some of our youngest fans. The Atlanta BeltLine Running Series took participants through southeast Atlanta for the 8k. Photo: Christopher T. Martin. Volunteers from Turner, along with Trees Atlanta, planted 26 fig trees at the Urban Agriculture site in October, representing the first planting of fruit trees at this location. The ongoing Streetscapes project also brought bike lanes to Ponce de Leon in October, improving safety for bicyclists on this busy road. Turner Volunteer Day brought people out to the Urban Agriculture site for tree planting. In November, design was completed for the Atlanta BeltLine North Avenue Plaza in partnership with Ponce City Market. As the first public plaza along the Atlanta BeltLine corridor, the North Avenue Plaza will connect the Atlanta BeltLine with Ponce City Market. Design is underway for the North Avenue Plaza at Ponce City Market. The introduction of new, free fitness programs in November gave Atlantans another opportunity to get out and get moving on the Atlanta BeltLine. Supported in part by a grant from Coca-Cola, the programs kicked off with our first quarterly Atlanta BeltLine Street Cup, and included aerobics, FitWit, Trail Yoga and How to Ride Your Bike for Youth and Adults. The introduction of new, free fitness programs in November gave Atlantans another opportunity to get out and get moving on the Atlanta BeltLine. Photo: Christopher T. Martin. Bikers also delighted in free Atlanta BeltLine Bike Tours beginning in November. The Atlanta BeltLine Partnership and the Atlanta Bicycle Coalition began tours highlighting exciting features along an Eastside Route and a Westside Route. The Atlanta BeltLine Partnership and the Atlanta Bicycle Coalition began tours highlighting the exciting features of the Eastside Trail and Westside Trail. Love Historic Fourth Ward Skatepark? It’s about to get even better! The design for expansion has been completed as of this month, and there will soon be more room for skating. Site preparation is also underway for the Urban Agriculture site as of this month. Historic Fourth Ward Skatepark will get even better! By popular demand and years in the making, we unveiled the Atlanta BeltLine Shop to provide Atlanta BeltLine merchandise to our supporters. Fans have been excited to show off their Atlanta BeltLine pride with our new line of apparel and other exciting items – including Atlanta BeltLine shirts, hats, coasters, posters, postcards and more. The proceeds from every purchase help fund Atlanta BeltLine programs and projects. The Atlanta BeltLine membership program also received an exciting face-lift, offering even more Atlanta BeltLine membership benefits to the supporters of the Atlanta BeltLine! Proceeds from every Atlanta BeltLine shop purchase help fund our programs and projects.